Remember when Britain was known as the home of the £100 super-speaker? 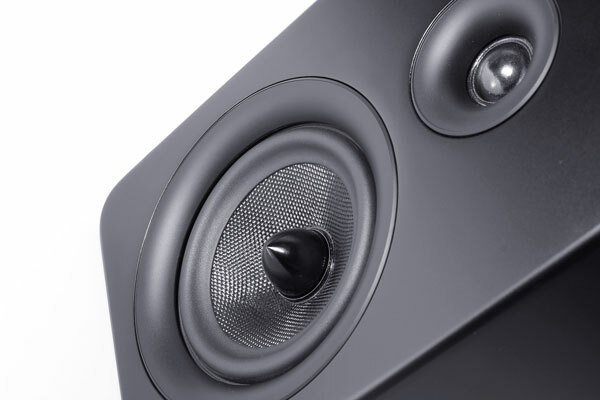 Manufacturers in other countries scratched their heads when they saw what brands such as Mission, JPW, KEF and Wharfedale could do for so little money, then scratched even harder when they realised the giveaway price was per pair, and not each (as is so often the case in other European countries). Were we Brits mad? Well yes, they knew we were, but it seemed we were determined to prove it, as those brands duked it out for sales success with ever more speaker for ridiculously low prices, deploying all kinds of innovative technologies and designs to get better sound while keeping the costs down. Time was when magazines could put together huge tests of ten or twelve pairs of sub-£100 speakers in the sure hope of finding something special somewhere in the pack, and still have plenty more from which to choose for next time round. Fortunately – as some would see it – we gradually all got a bit more sensible, and prices rose to the point that somewhere around £200 is now the accepted level at which speakers start getting a bit serious. Well, it seems we all got sensible apart from Roth AV, the British-based company with its fingers in a number of hi-fi and home cinema pies, from DAB radios to soundbars and conventional speakers. Using a combination of British design and Chinese manufacture, Roth has been delivering value for money products for the past seven years, starting with its valve-powered Cocoon MC4 iPod amplifier dock – but now it looks like it’s outdone itself. The Roth Audio OLi RA1, the entry-level model in an all-new third-generation range of hi-fi and home cinema speakers, is a very serious bargain. 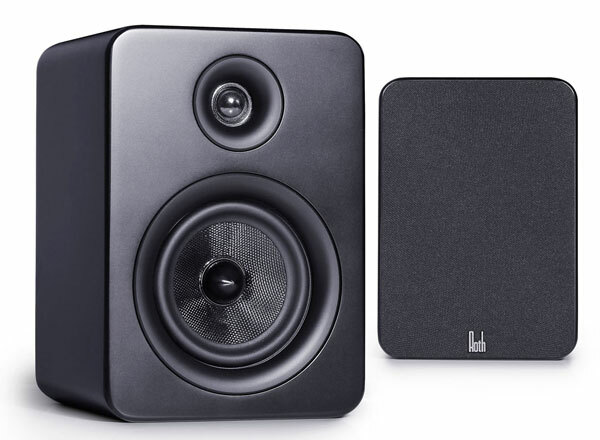 For £99 you get a little pair of bookshelf speakers, designed by an acclaimed British audio fettler and finished in best basic black with smooth radiused corners and invisible magnetic grille-attachments – and with a sound that’s quite amazing considering the size and price. The acoustic tuning here is by Richard Allen, the designer most recently responsible for speakers including the Accolade Audio, Arcaydis and EB Acoustics ranges. Allen turned his back on conventional retail paths some time back, and has been running his brands more or less as a one-man show, selling products direct from his websites and (I’m sure he won’t mind me saying) struggling at times to keep up with demand for what are essentially handmade products. That demand is there for one very good reason: Allen’s brands do make very fine-sounding speakers, which I’ve enjoyed every time I’ve had the opportunity to listen, and the products themselves are beautifully put together and based on a lifetime of audio engineering experience. The Roth Audio products, however, see Allen doing what he does best – designing and tuning – freed from the worries of manufacturing and distribution. His involvement is purely at the early stage of the speakers’ development, after which Roth AV’s expertise in sourcing, manufacturing and distributing the products kicks in. I can see how the two sides of the partnership would work well together – both Allen and Roth AV founder James Roth are what one would politely call ‘straight-talking’ or ‘no-nonsense’ types, and both have pretty strong views on the state of the audio industry and its future. 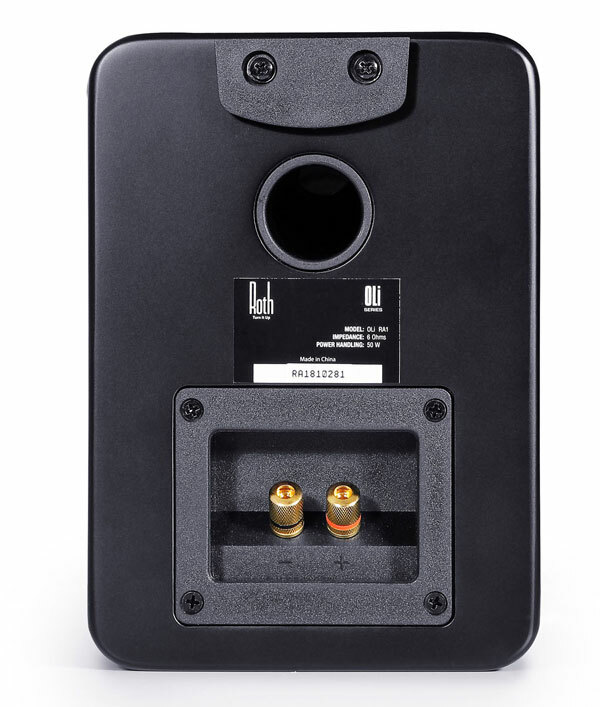 And what they have come up with is nothing short of a remarkable little speaker, not only offering serious value for money but also boding well for the rest of the OLi RA range. That range starts with the RA1s, standing just 23cm tall and using a 25mm silk dome tweeter, shared across all the RA models, and a 10cm woven fibreglass mid/bass unit. The cabinets are rear-ported, have single-wire terminals, and are finished in matt black, giving them a purposeful, contemporary look. Above the RA1s sit the larger RA2s, selling for £149/pr and using a 13.5cm mid/bass unit and greater enclosure volume to give a larger sound, while the £299/pr RA3 floorstander uses two of the 13.5cm drivers, and the range-topping RA4, at £399/pr has two 16.5cm mid/bass drivers. Completing the line-up are a £99 centre speaker, the OLiC30, with the tweeter straddled by two 13.5cm drivers, and the £249 KH30 subwoofer, with a 20cm forward-firing driver and a 200W internal amplifier.And if they’re all as good as the RA1s, they could be excellent buys. I’ve been playing with the baby speakers for a few days now, and they’re very serious fun, whether you use them on shelves as intended, on stands – though they do look a bit daft atop a pair of 60cm Atacamas! – or as desktop audio, which is where they really come into their own. Of course, with an enclosure so small – they’re as minute in plan view as they are in stature – and with so small a bass driver, these are never going to be room-shakers. In fact Roth quotes 80Hz as the low-end limit, which seems about right, while they thrive on the end of a bit of amp welly due to 82dB/W/m sensitivity and 6ohm nominal impedance. But provided you’re going to be listening to them relatively close-up, most modest systems will be more than up to the job, and will drive the RA1s as loud as you’re likely to want to listen. It’s also suggested you use them within 10-15cm of a rear wall, to allow the port to do its stuff, but while this did give a little useful bass lift, I found the speakers entirely enjoyable in free space on my desk. Oh, and removing the grilles does further free up the treble, giving just a little extra sparkle to the sound, but if you must listen with the grilles in place you’re unlikely to be disappointed. What these speakers are all about is integration, openness and a whole dollop of listening fun, whether your system is pootling through some jazz or seasonal fripperies, or slamming out something more demanding. They’ve survived my usual torture tracks – from solo voice to full-orchestra Wagner, and from noodling to dance beats – in fine voice, and have proved a really involving and enjoyable listen so far. At the moment they’re playing some elderly folk-rock, recorded live, and it’s hard not to like the way they sound: effortless, with a good drive and bounce and – at least close-up – not lacking in any apparent bass. They don’t try to conceal their low-end limitations by overplaying what they do have, but rather sound tight and tuneful, and plenty weighty enough for what are, after all, truly tiny speakers. Above that, a sweet, clear midband and treble, delivering plenty of ambience and vocal/instrumental timbre without a hint of spit or shriek to upset the party – this is a very well-balanced design. Put simply, I can think of a lot of uses for speakers this accomplished and this affordable, from bolting up on some brackets for use in a second room to improving the sound of even very modest mini-systems, and from rear channels in compact surround set-ups to the kind of desktop applications I’m enjoying at the moment. You don’t have to drive them hard to enjoy what they can do across a wide range of much, and above all their sound is honest and direct – yes, you can get more with some bigger and more expensive speakers, but then you’d expect as much. In fact, in any application requiring small speakers, the little Roth OLi RA1s will do very nicely indeed: they sound good, feel solid, and are as cute as a really rather cute thing. And in so doing, they could challenge your expectations of ultra-compact, inexpensive speakers – yes, they’re that good. Thanks for the review Andrew, how do these compare to the Roth OLi10’s which I have been using on my desk for a while, an improvement? Some time since I heard a pair of OLi10s, but I am pretty confident the RA1s have just a bit more weight and slam than the old ones. Thanks again and all the best for this New Year. How would you compare these to 2010i? Marjorie, Roth’s own website quotes the speakers as 6ohms, but really there shouldn’t be a problem – after all impedance will vary wit frequency, and just about any amplifier will be able to cope with these fluctuations. Can you help me, iv been looking at these speakers but I don’t know which to choose….. RA1 or the RA2, what is your thoughts? Thanks for this review. How do you compare this speakers with q-acoustics 2010i? Both extremely good budget speakers, and if I were in this market I’d definitely try to get a listen to both. Great review, Fun – I haven’t heard speakers called that in a while but that’s what it should be all about. ← Can this little stick make any audio device with a USB socket sound better?